This is a guide for the third and last part of the Death Factory mission which is called R&D. 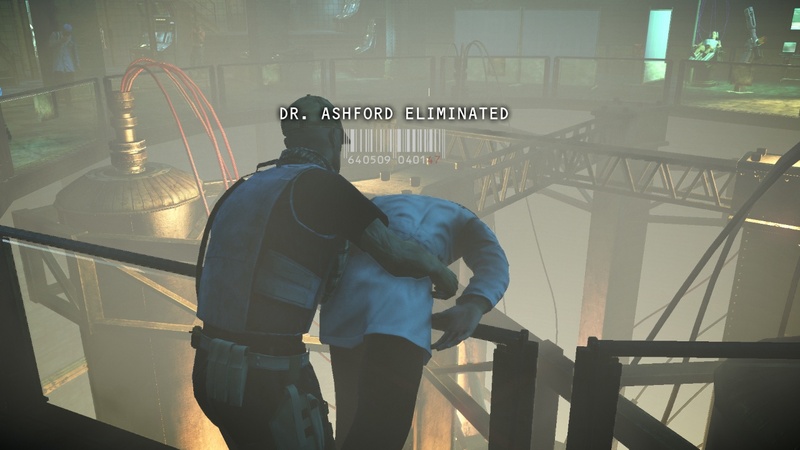 This guide explains how to complete R&D with the maximum score by showing you how to eliminate Dr. Valentine and Dr. Ashford with silent and signature kills and how to hide their bodies, how to recover the evidence and how to destroy Dr. Ashford’s research on the hardest, purist, difficulty. After you have completed all the challenges for the Death Factory mission and completed R&D in the way this guide suggests you can expect 331,925 score from R&D. At the start go into the conference room and go through the door at the back of it down the stairs. At the bottom of the stairs wait for the guard to leave. Then turn around and make go back all the way to the room that you found the guard at the bottom of the stairs in. 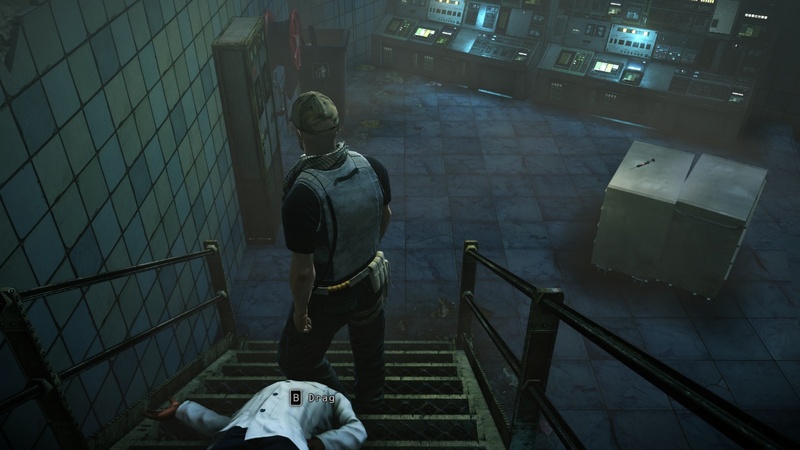 Stand near the electric gun and wait for Dr. Valentine to show up. Sneak to the area to the left and go behind the paper walls. You can stop sneaking there. Go all the way to the opposite side of the level and close the valve. Now you have very little time. 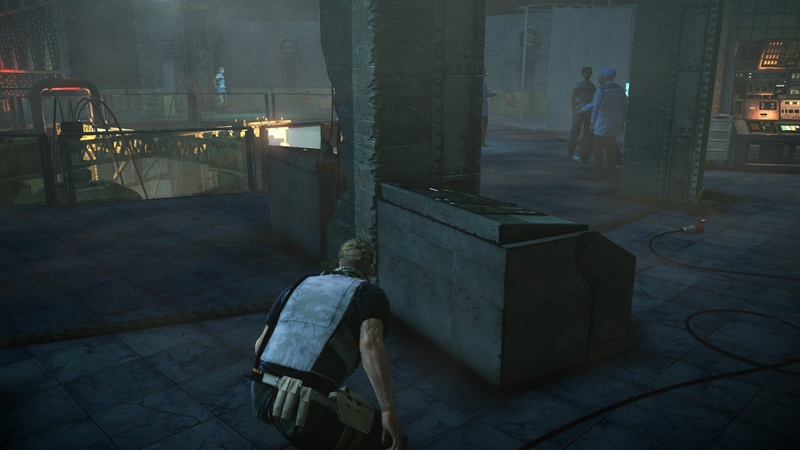 Run back to Dr. Valentine’s body and drag him down the stairs and into the area to the left behind the wall. Dump the body over the railing. Go back to the valve and wait there until Dr. Ashford gets closer. Be sure not to drop the body where there are metal bars that stop him from falling into the water. Recover the evidence on a table nearby. Go to the bridge control near the valve and activate the bridge. Go into the corner to the right to avoid being spotted by the guard that turns around once the steam clears and wait for the bridge to arrive. Go over the bridge and play Dr. Ashford’s log on the console. If you want to hear what he has to say wait until he stops speaking before you complete the next objective. There are two fuse boxes in the room. Sabotage both of them and exit R&D through the door ahead. Once you have done that it is the end of R&D and indeed the whole Death Factory mission. 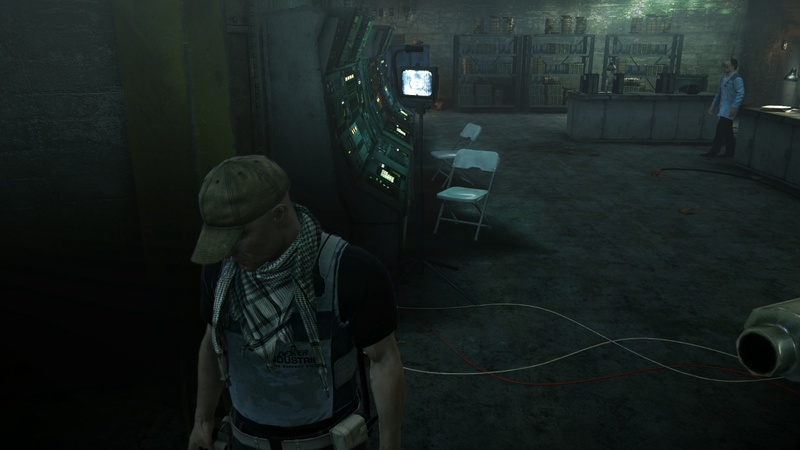 This entry was posted in Hitman Absolution Guide, Score Maximizing Mission Guide and tagged Death Factory, Death Factory Guide, Death Factory High Score Guide, Death Factory Purist Guide, Death Factory Score Maximizing Guide, High Score Guide, Hitman, Hitman Absolution, Hitman Absolution Guide, Hitman Absolution High Score Guide, Hitman Absolution Purist Difficulty Guide, hitman Absolution Purist Guide, Hitman Absolution Score Maximizing Guide, Purist Guide, R&D, R&D High Score Guide, R&D Purist Guide, R&D Score Maximizing Guide, R&D Silent Assassin, Score Maximizing Guide, Silent Assassin. Bookmark the permalink.